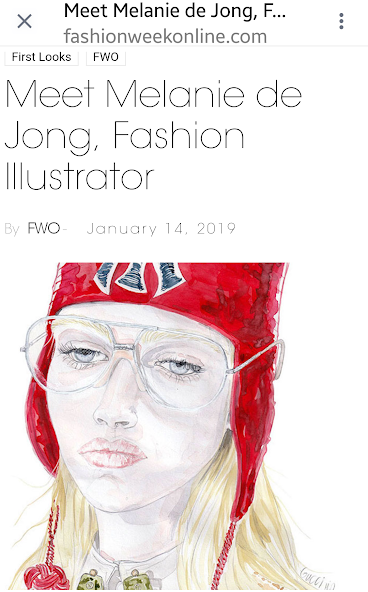 Today I am on the front page of fashionweekonline with 6 of my most recent fashion illustrations and my biography. 2019 starts very well for me and I am so very happy. Chalky Candy colors and ruffles and volume with giant rosetts punctuating it all. Even the models hair had been bleached and then dyed cotton candy hurs before swept up in perfect ’60s style barbie bouffant pony tails. 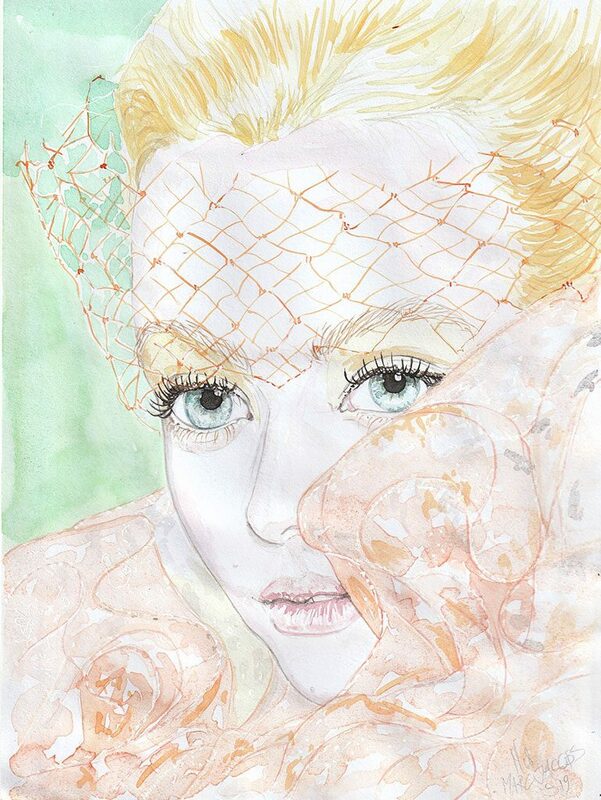 This beauty i painted is model Lily Nova. 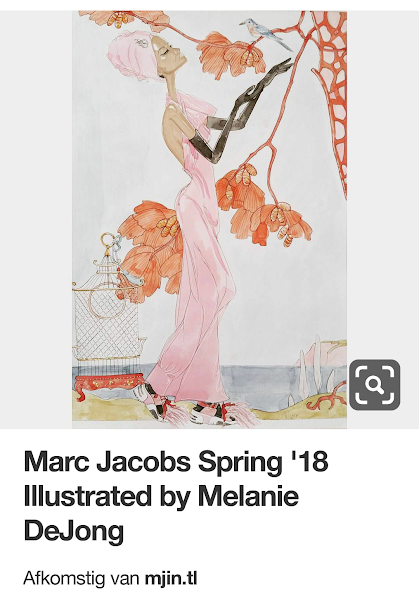 I was so exited that Marc Jacobs liked the illustration, but when i realized that this illustration appeared on his art collection on Pinterest i could not believe it. 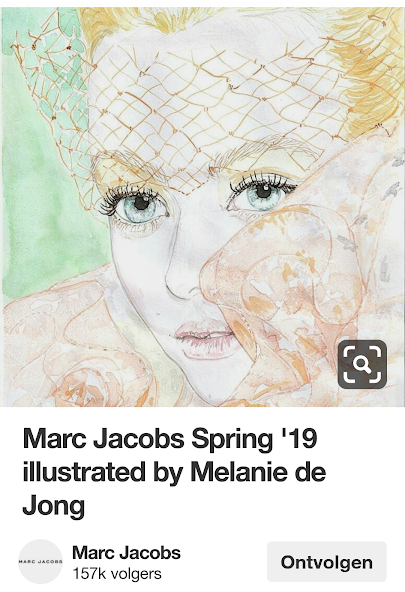 So proud and happy my illustration was seen on @marcjacobs illustration art collection on Pinterest! 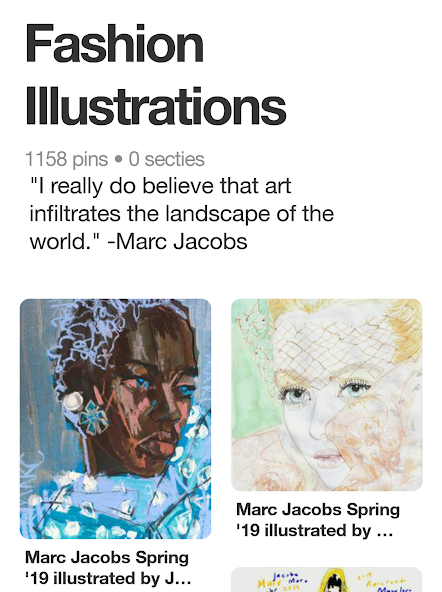 Especially enthusiastic because it is the second time my illustration is on his art page. Thank you Mr. Jacobs! 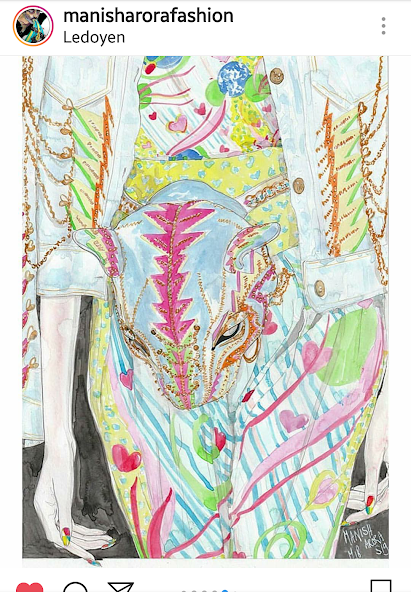 One of my favorite designers and there are to many items of his Spring 2019 collection to draw them all. But i would love to. 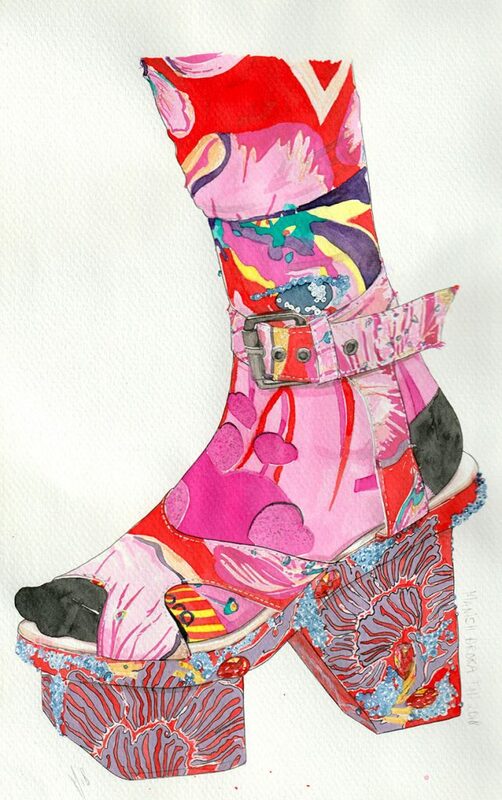 A bright and colorful uplifting Spring collection. This is definitely what the world needs these fresh, spiritual, bright and vibrant colors. And this lovely and beautiful waistbag! LOVE LOVE LOVE! 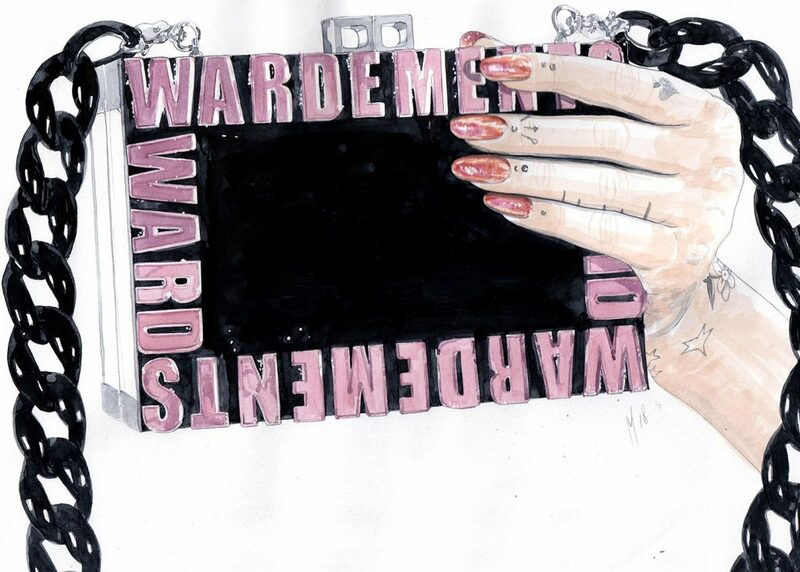 This LCD Screen Handbag is awesome! 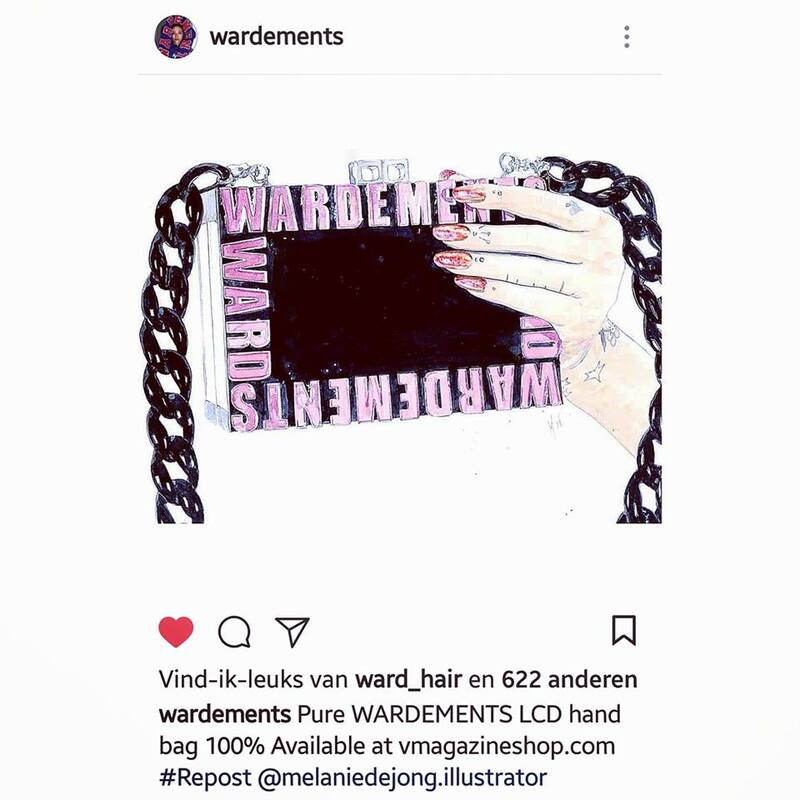 It’s one of the fab items of Ward Stegerhoek’s WARDEMENTS FALL 2018 collection. The limited edition db chronicle bag allows you to personalize and carry your own video where ever you go. The chronicle bag is provided with an usb calble to add/remove the video’s. 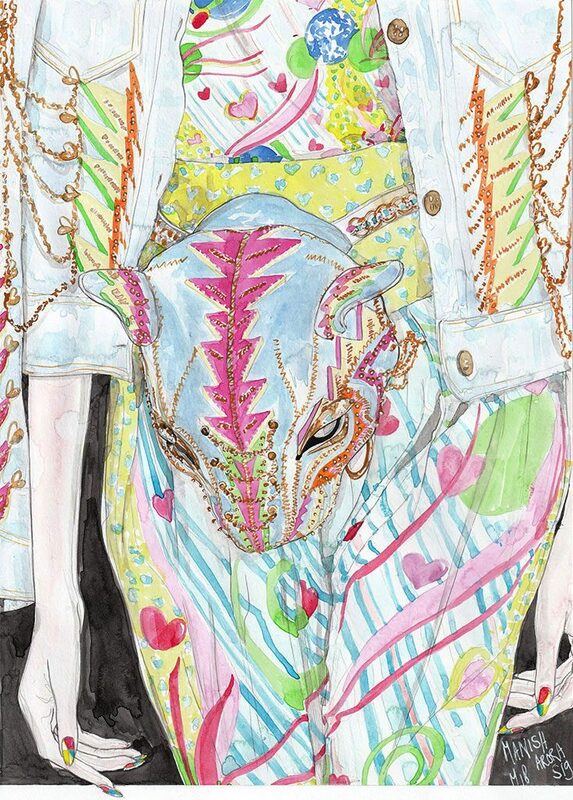 For his collection he collaborated with the talented Diana Broussard. His collection is famous among models. 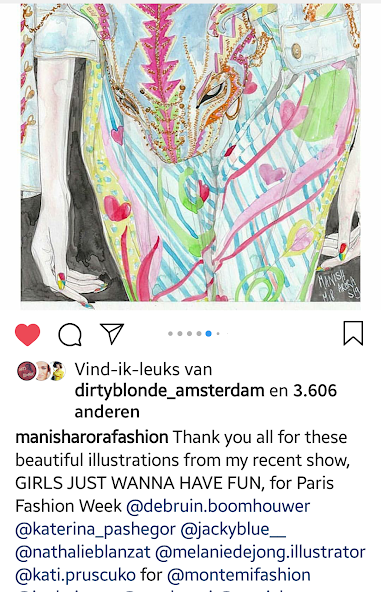 The Dutch born hairstylist rose to fame in the early nineties working with former Vogue Paris Editor-in Chief Carine Roitfeld and stylist Carlyne Cerf De Dudzeele, taming the coifs of supermodels like Cindy Crawford, Claudia Shiffer, Linda Evangelista, Christy Turlington, Eva Herzigova and many more. Thank you Mr. Ward Stegerhoek for the repost. You made me very happy! 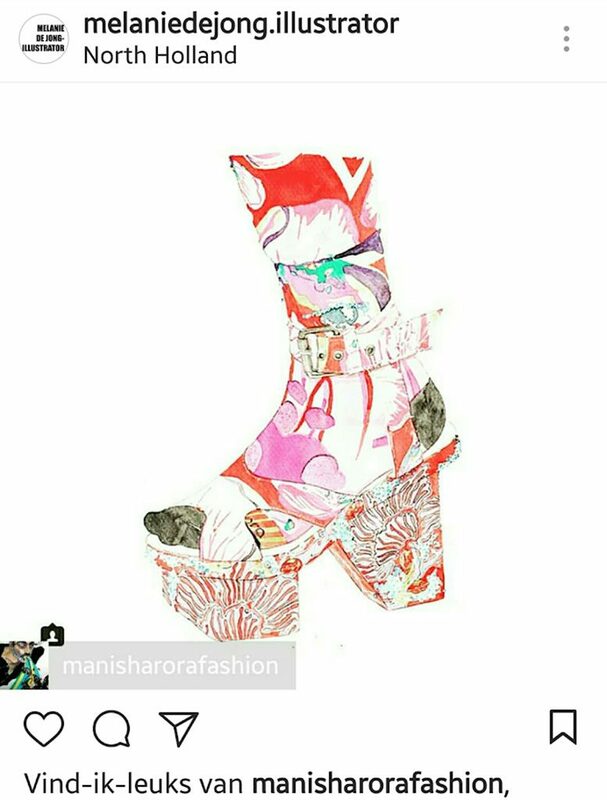 I was pleased to see that Manish Arora could appreciate that I had illustrated his shoe, because there was a repost on his Instagram page. 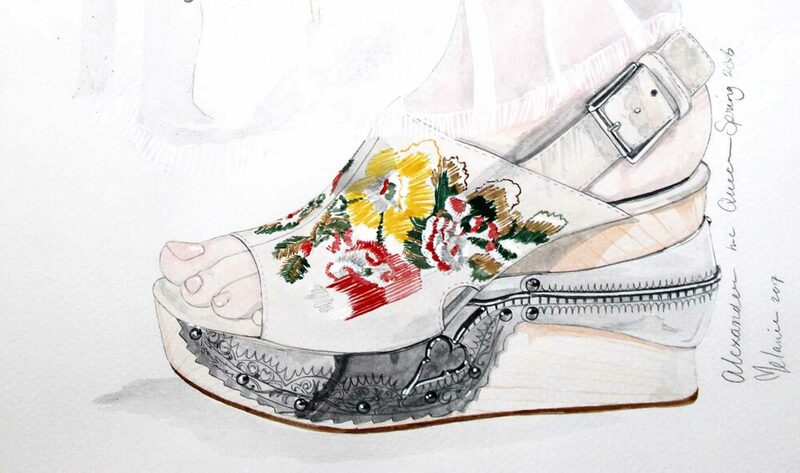 How proud you can feel to experience that, and so special that the last shoe gets that attention. 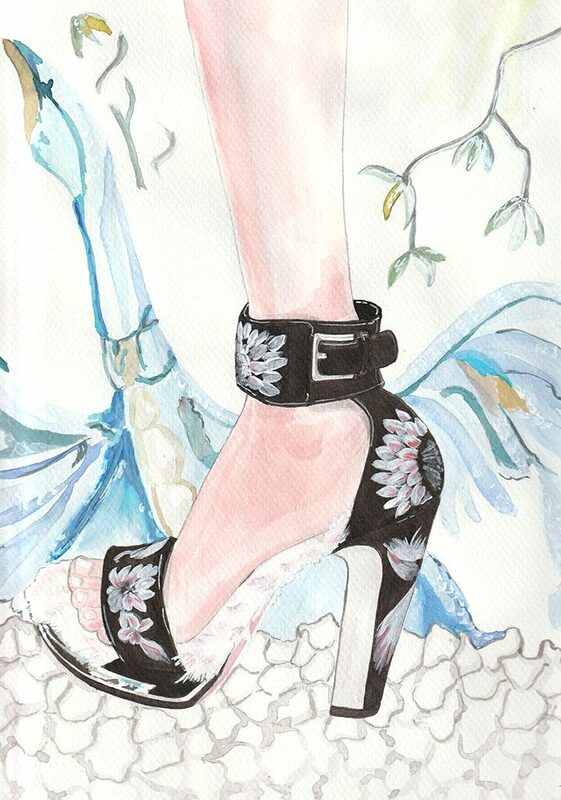 This was the first shoe i painted. 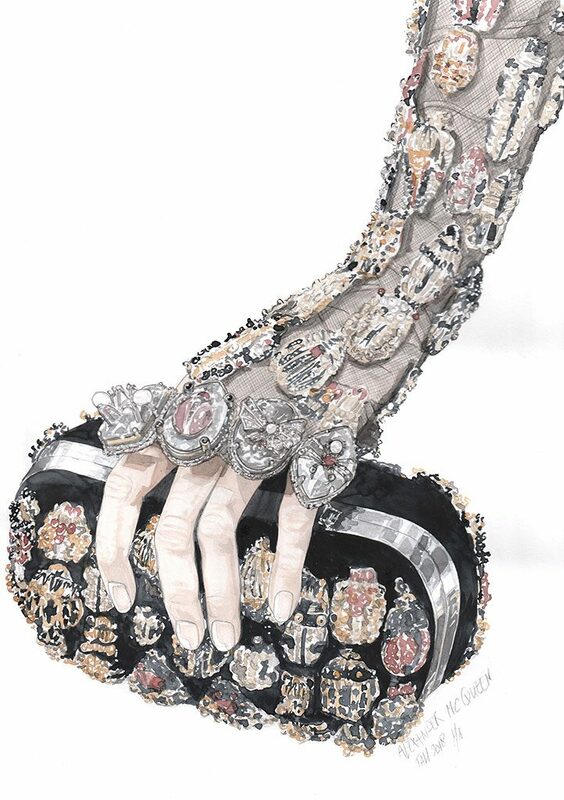 From one of my favorite designers Sarah Burton for Alexander Mc Queen. 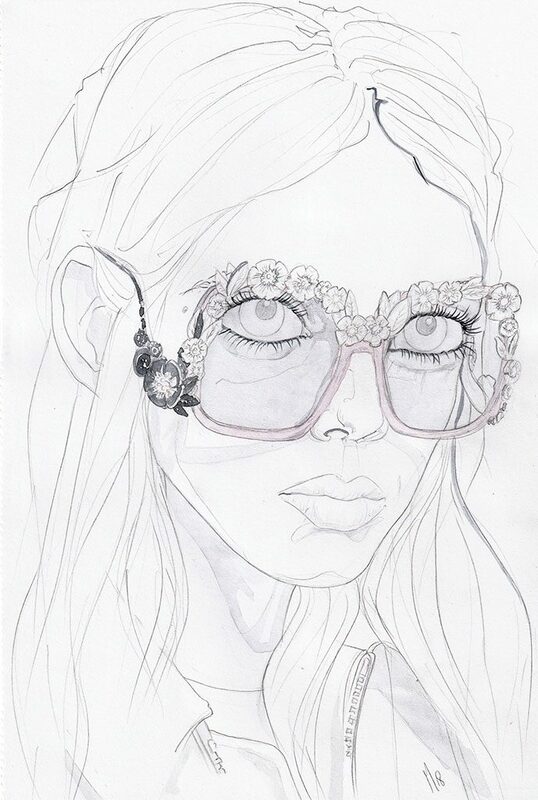 I was in such a good mood when i illustrated this beautiful appearance. Mariana Zaragoza on the runway for COACH 1941 Spring 2018. I can not wait to wear sunglasses like this, i’m convinced that it makes me happy. Stuart Vevers knows his Americana. The runway and just about everything else at his Spring Coach 1941 show was covered on Gunmetal Glitter. 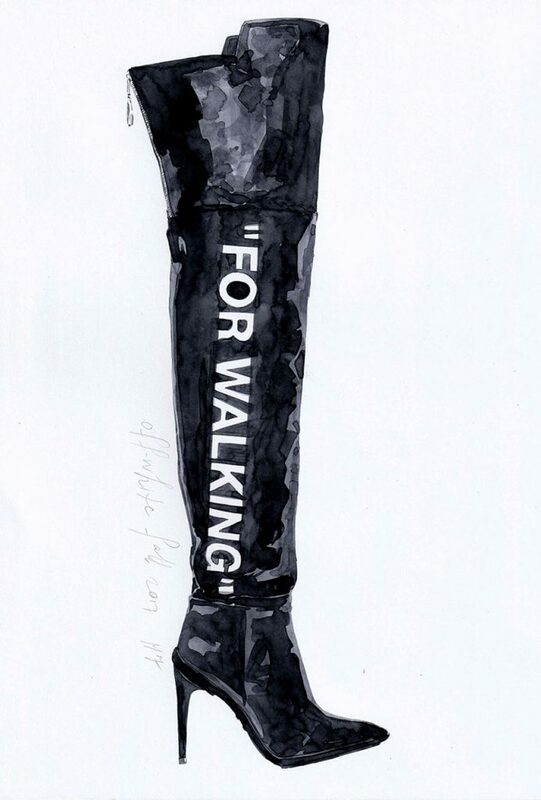 A nod to Judy Garland? Think again. The life-size New York alleyway at basketball city was a nod to the grit of the late artist Keith Haring, whose foundation Vevers has collaborated with on a capsule collection. 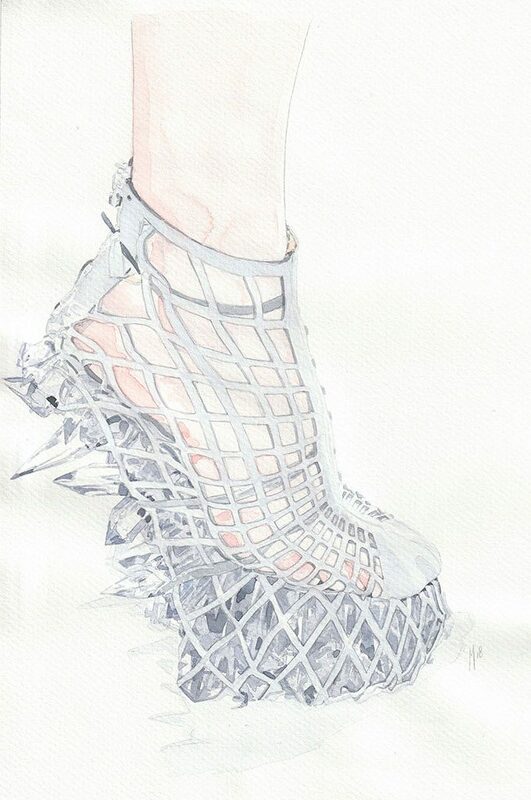 Designed by the phenomenal IRIS VAN HERPEN, together with Japanese shoe designer Noritaka Tatehana. Her Fall RTW collection called “Hacking infinity” and said it was inspired by the terraforming, or the proces of transforming the biosphere of other planets to make them like earth.